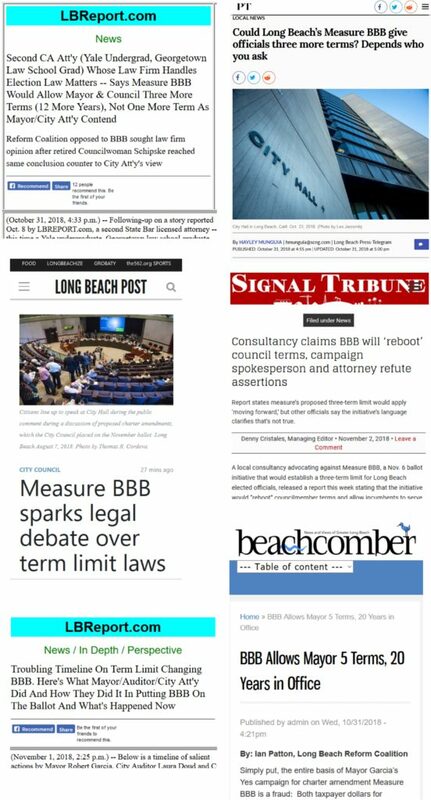 Coverage: Bombshell Legal Analysis—BBB Could Mean 20 Years! 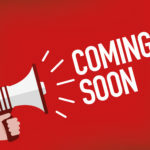 Stay tuned for news of our upcoming projects and events in 2019. We have big plans. More info in the new year! Legal analysis by highly regarded election attorney Gautam Dutta has concluded that Measure BBB, if passed, would be in conflict with state law and result in the elimination of our current two-term limit and with the replacement three-term limit only partially held up in court: That would mean that Mayor Garica and others on the City Council could potentially serve 20 YEARS IN OFFICE, or five terms. Yard signs are here! Sign up with the form to the upper right. 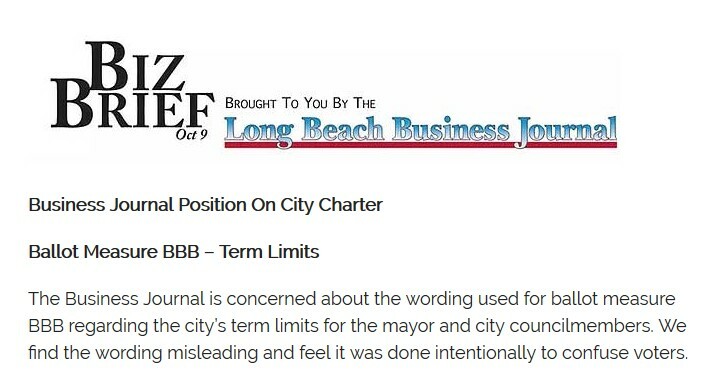 Please be aware that our City Attorney, handmaiden to the mayor's network of big money special interests, has purposefully worded the description of Measure BBB on the ballot (known as the "Title & Summary") so as to mislead the voters of Long Beach into thinking that they are in fact introducing term limits by voting yes! Nothing could be further from the truth! 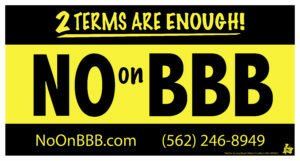 Measure BBB extends the current two-term limit to three terms, but do you see a word about that in the ballot language? This is what we're up against. 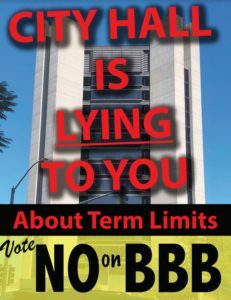 This is the power of a system geared to deceive, by a City Hall so fearful of voters it has to lie to them, yet so arrogant as to think they can get away with it. What does that tell you without even looking? 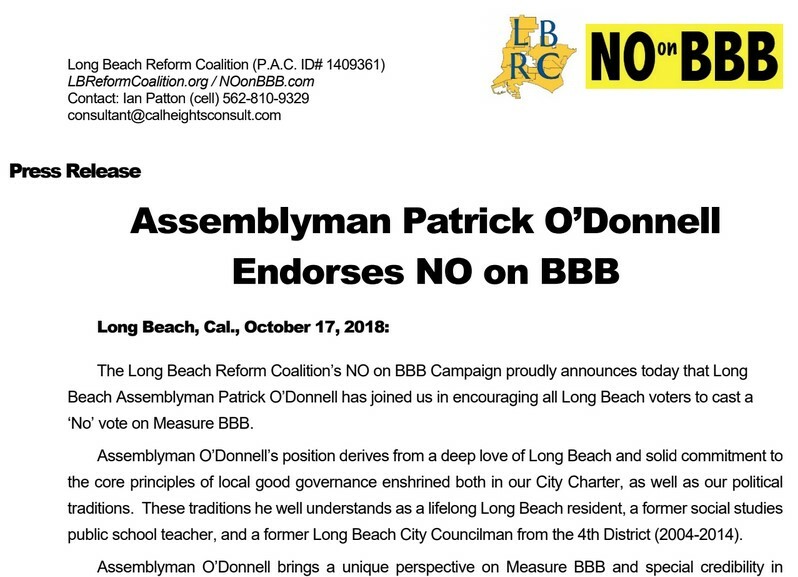 The residents of Long Beach support us! And surprise, surprise: The big money special interests support the politicians they control staying in office. 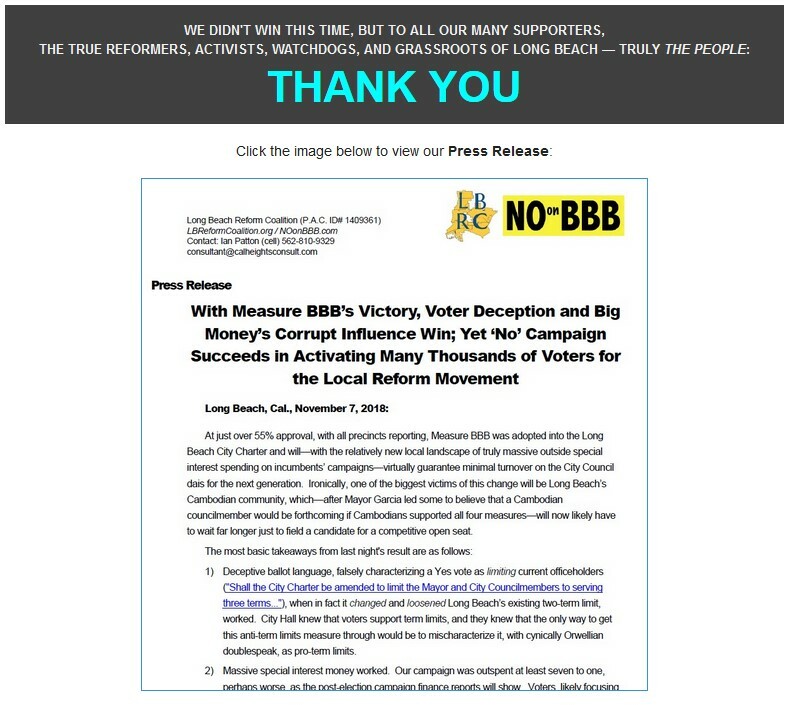 Please provide your email address to receive LBRC updates.